One of the most asked-about character returns is finally here! The ace fighter pilot, and his one-of-a-kind plane, return with an all-new story by action-master Chuck Dixon, in a never-before-told adventure. 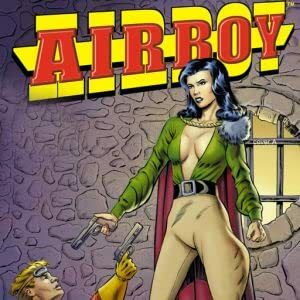 Be here for the first white-hot meeting between Airboy and that gorgeous femme fatale Valkyrie. Intrigue, thrills, volatile physical chemistry, and cinematic aerial combat mix in an explosive combination! With a retro cover by Joel Naprstek and a modern cover by Steve Bryant.